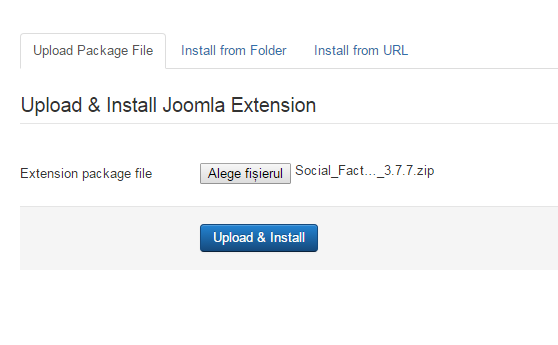 To install Social Factory you will need a working Joomla 3.x.x installation. 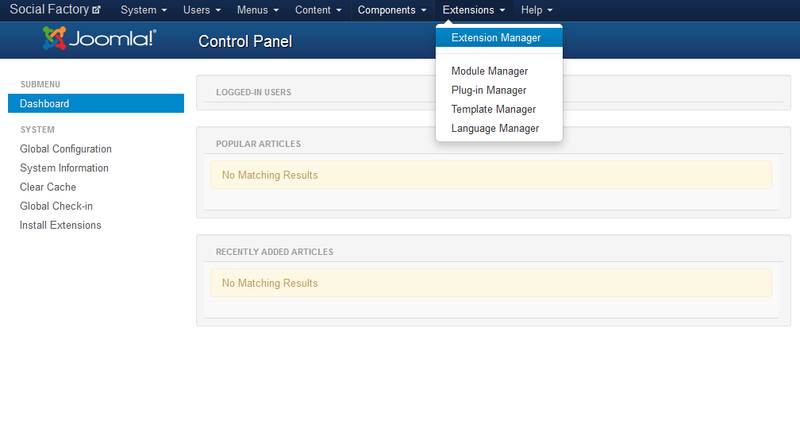 It is recommended to have the latest version of both Social Factory and Joomla for them to work properly. (!) All the available modules for Social Factory are found in the component kit and will be installed automatically, for more information about the modules check our Social Factory - Modules Guide. 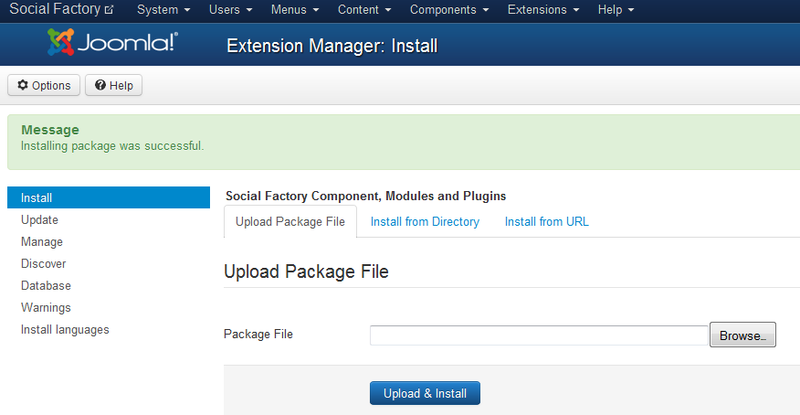 With Social Factory installed, go to Components/Social Factory/About to verify if the component is up to date. In case there is a newer version available, visit our website and log in to your account. Proceed by going to My Orders & Downloads page found on the user menu to verify if you have a valid license of Soecial Factory and then click on Request Update if this is the case. 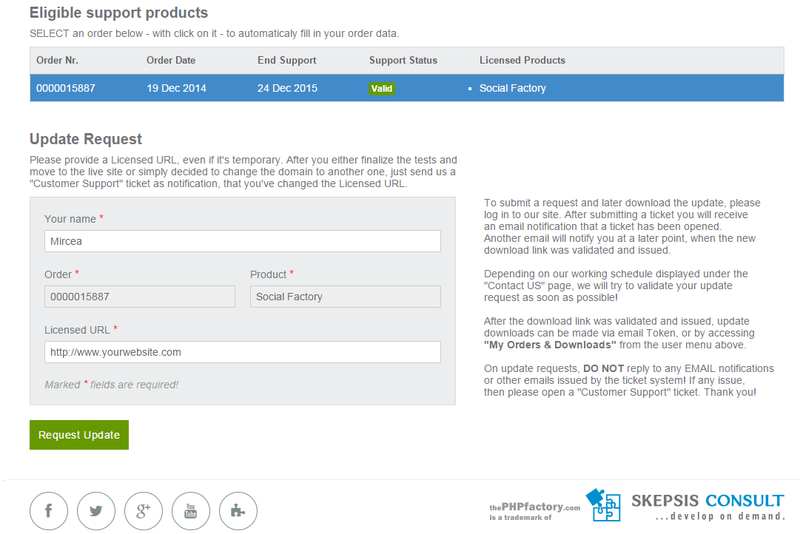 Select a valid order of Social Factory if you have multiple and add a Licensed URL. 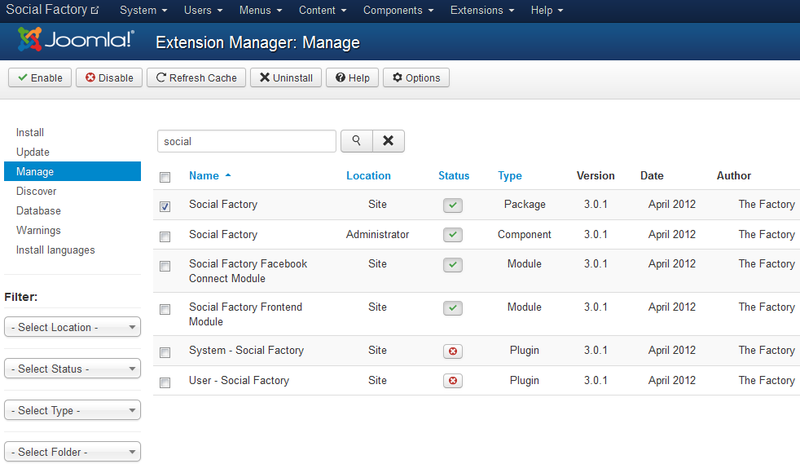 Updating Social Factory to the newest version can be done by following the same steps as for installation. The update script will update the component automatically without necessitating to uninstall it. However it is recommended that you do a backup before, like for any install/uninstall/update. In case you wish to uninstall the component, simply go to Manage, check the "Social Factory" component checkbox and click on Uninstall.